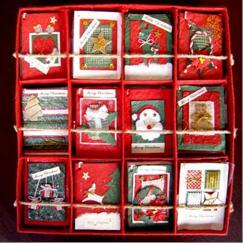 Total 120 pieces of Christmas gift tags (twelve designs of each 10 pieces) were assorted in a carton box which is suitable for the display at the retail shop or good for the distribution from wholesale customers or even good for the end customer. Each mini card come with the small card inside for your use and has a string for hanging. The mini card size is 2.50"x 3.25".